The cumulative RSI strategy comes straight out of Larry Connors’ & Cesar Alvarez’s book called “Short Term Trading Strategies that Work“. I’ve really been enjoying programming and testing some of the ideas presented in their book — a lot of which seem to have some merit — so I wanted to go ahead and share some of the work I’ve been doing with my readers. On page 104 of their book, Connors and Alvarez state that this strategy was 79.49% accurate on the SPY when tested, earning 779.51 S&P points with an average holding period of under 5 trading days. There are 2 cumulative RSI strategies in the book. 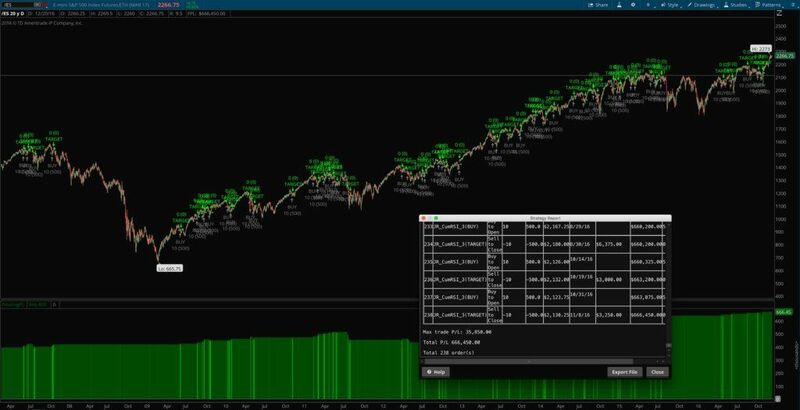 This particular strategy is Connors’ example of a different way of using his favorite tool, the cumulative RSIs, with a slight longer look-back timeframe. For the first version, which is also a strong contender, check out the other cumulative RSI strategy page here. 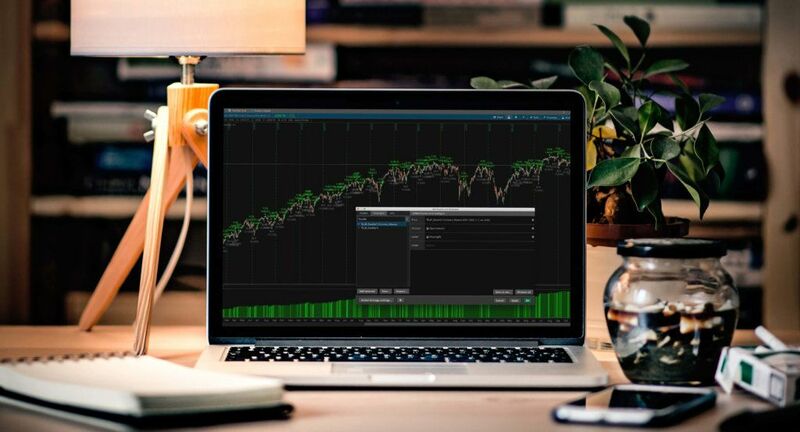 The default settings that the trading strategy comes with are straight out of the book on page 104, and seem to perform very well in my own tests, but they can be easily customized and tested with different values using the strategy properties menu. This is useful for quickly backtesting the strategy with different instruments, time frames, and market conditions. The original strategy in the book calls for no stop to be used. But I added the option for a percentage based stop to make the strategy more applicable to different trading styles. 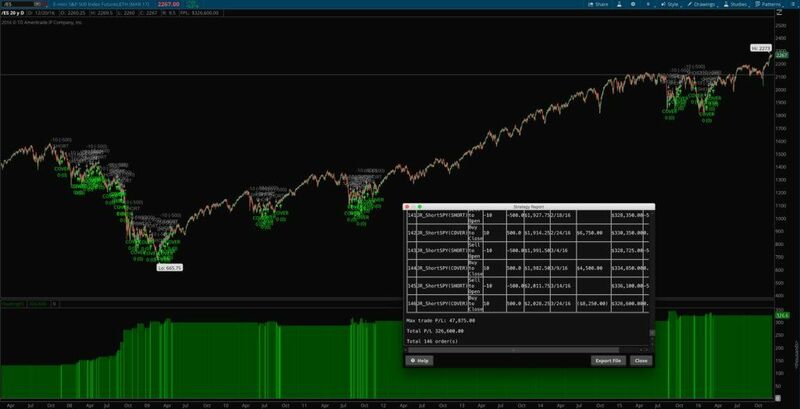 The cumulative RSIs strategy first makes sure the instrument is in a long term uptrend (with customizable parameters), and then takes the sum of the past x-number of RSI(y) values and if the number is sufficiently oversold, the strategy issues a buy signal, and if it then subsequently becomes sufficiently overbought, it issues a sell to close signal. The overbought and oversold levels can be customized as needed. Traders can optionally add a percentage based stop to the strategy (simple option in the properties menu) and customize how big the percentage stop should be.